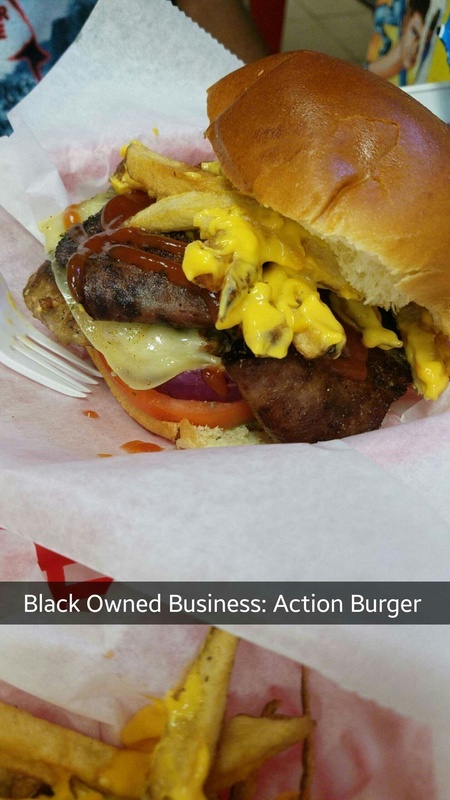 Action Burger is truly one of a kind. It is a video game, comic book, and science fiction theme restaurant. Serving exceptionally well-seasoned burgers, alcoholic beverages and milkshakes. Ranging from StarWars, to Anime, to Super Smash Bros to Halo parties this place has it all for a gamer. Packed with over 100 original Nintendo games. While we were waiting for our food we played Duck Hunt on the Nintendo! The vibe was pretty smooth and relaxed. The decor is SO cool! It is every gamer's fantasy with some food and drinks on the side. They had vintage arcade games, board games, game consoles, and action figures. It was like walking into Toys R Us in 1995. Now they have villian food and super hero food, it's your choice. Hero food being the healthier alternative. I thought that was super cool. Their burgers was deliciously messy. The Turkey Burger was packed with 22 different spices with a taste to die for! They also have vegetarian options. Not to mention, the games are FREE. They also serve drinks. 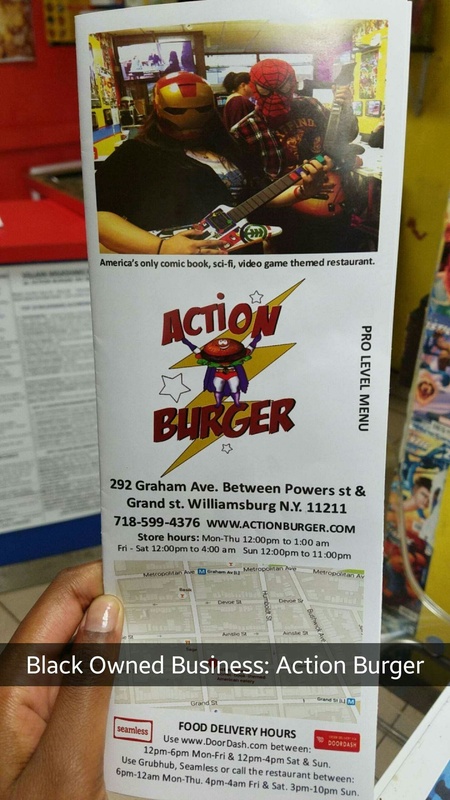 So if you want to drink, eat, and play some throwback video games Action Burger has it all. It will leave you feeling 12 years old all over again.